ADULTS WHO LIVE WITH ADHD, AND THOSE WHO CARE FOR THEM, CAN FACE DIFFICULT CHALLENGES IN CRUCIAL AREAS OF THEIR LIVES SUCH AS WORK, RELATIONSHIPS, HEALTH & NUTRITION, EMOTIONAL CONTROL. For more than 20 years the highly anticipated event has become bigger and more popular than ever. 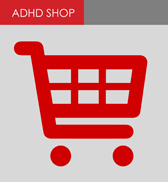 The ADHD ANNUAL CONFERENCE will bring together leading Australian speakers on vital ADHD topics. It will provide attendees with a range of the latest evidence-based information and management strategies. DON'T MISS OUT. Book your tickets now!